The striking resemblance which the Yoruba religious system bears to that of the ancient Greeks can scarcely have escaped notice. Olorun, the sky-god proper, now being gradually displaced by the more anthropomorphic Obatala, resembles Uranus, who was displaced by Kronos. In Greek mythology Kronos married his sister Rhea, the earth, and the Yoruba myth makes Obatala marry Odudua, who also represents the earth, though the qualities of Aphrodite appear to predominate. Olokun answers to Poseidon, Ogun, worker in iron, to Heph&oelig;stus, Orisha Oko to Priapus, Osanhin to &AElig;sklepius, Orun, the sun, to Helios, and Oshu, the moon, to Selene. Zeus&#39; messenger, Hermes, the lightning, was the protector of plunderers, and Shango is the god of lightning and plunder. Ifa, as the, god of prophecy, and the being who wards off evil and affords help, resembles Apollo, who, in Homer, is perfectly distinct from the sun-god, though identified with him in later times. The spirits of the trees answer to the Hama-dryads, and we have river-gods and sea-spirits. Metamorphosis to a brook, spring, or lagoon is common, and we have one example of a girl, being transformed, like Daphne, into a shrub. The gods, when consulted, gave oracular responses that differ in no essential particular from the answers given by the Oracle of Delphi. 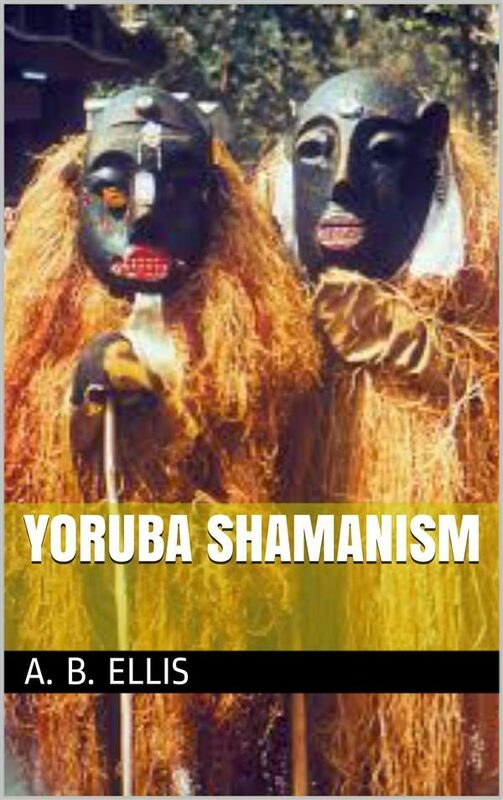 The Yorubas, like the Greeks, offer human sacrifices in time of national need. Dancing was, with the Greeks, intimately connected with worship, as Lucian says: &quot;You cannot find a single ancient mystery in which there is not dancing;&quot; and by the Yoruba every god of note has his own dance, which is sacred to him, and known only to the initiated.